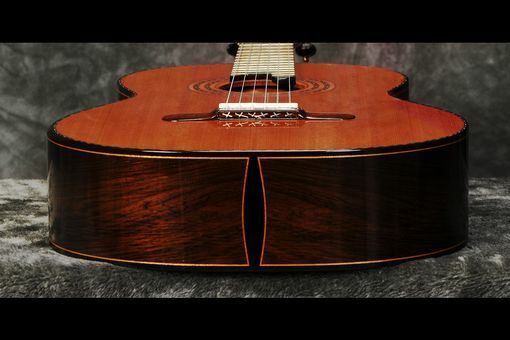 This guitar had to meet some ergonomic needs of the lady it was constructed for. 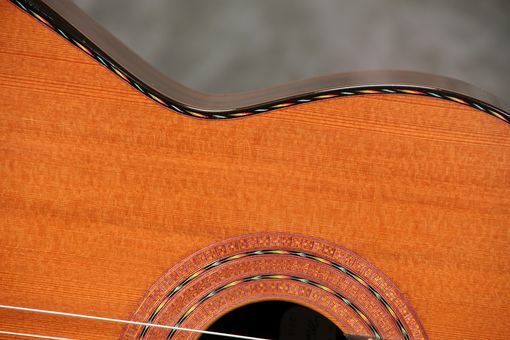 It has a full 650 mm scale but the string spacing at the nut and bridge are narrowed up a bit to fit her hands better. 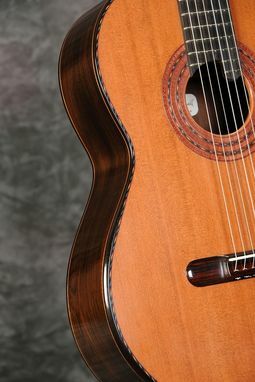 There is a small beveled armrest to ease the right forearm's resting point on the guitar body. 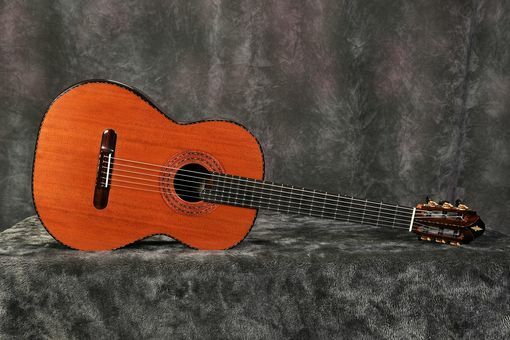 The full bodied shape of my typical classical was a good match for this guitarist. 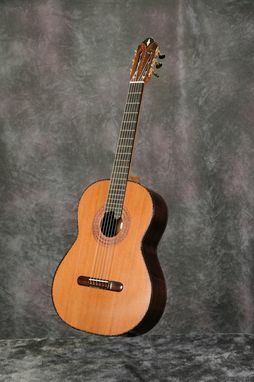 The profile of the neck is somewhat flattened leading to a stable left thumb/wrist position which suited this musician. 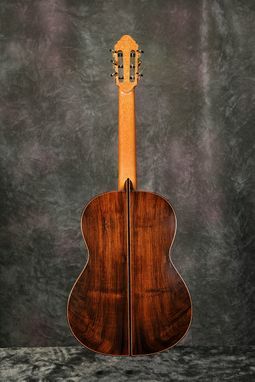 Since she was having an instrument constructed to suit her ergonomically and musically she had ideas for the visual appeal of her instrument. 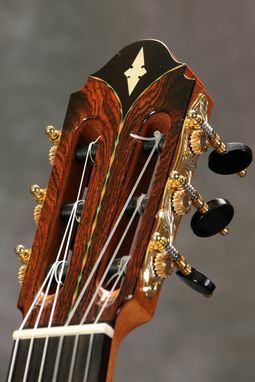 We had some exquisite tuning machines custom made by Jorg Graf to complement the composition. 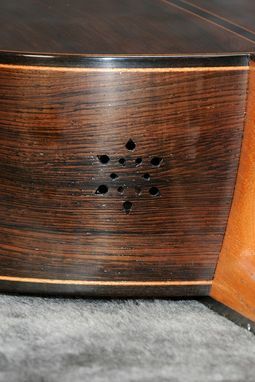 There is an acoustic port on the upper bout. 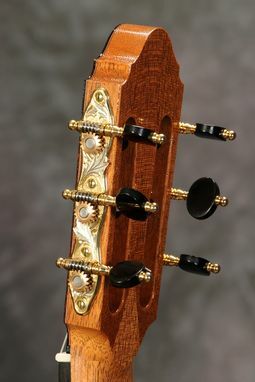 A little color was added to the ornamental details with dyed wood components, and some abalone shell bling on the head. 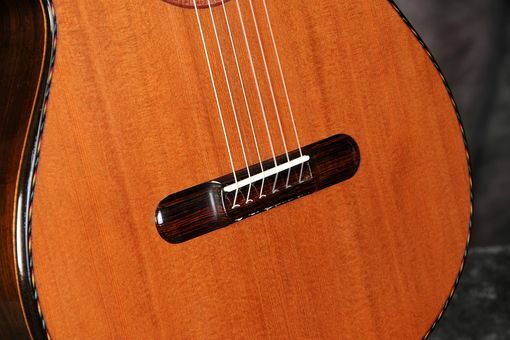 The position markers on the edge of the fretboard are cut diamonds. 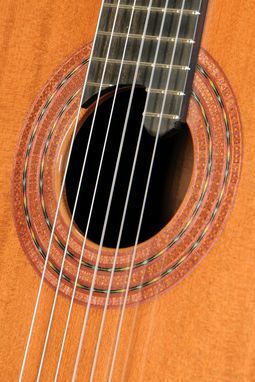 The bridge is of the eighteen hole design. The combination of Brazilian Rosewood back and sides and Redwood top produce a clear and rich tone.